The information presented on this page was originally released on July 7, 1995. It may not be outdated, but please search our site for more current information. If you plan to quote or reference this information in a publication, please check with the Extension specialist or author before proceeding. The economist said prices have fluctuated between $8.30 and $8.70 per hundredweight in recent weeks. "Prices have been running slightly higher than this time last year," Caillavet said. "Even though harvest time is only about a month away, prices could improve more in the coming weeks." Mississippi planted 315,000 acres in 1994 compared to 300,000 in 1995. The U.S. rice crop dropped from 3.35 million in 1994 to almost 3.17 million this year.  Dr. Ted Miller, extension agronomy specialist in Stoneville, said the state's crop is in good condition despite some early season problems and recent water weevil maggot damage. "Some growers had to replant because of erratic temperatures and rains early in the planting season," Miller said. "We have some fields with thin spots as a result." Water weevil maggots, which develop on rice stems and move to the root systems for food, have been more widespread in 1995 than past years. Tommy Baird, area agent specializing in rice in Sunflower County, said water weevil maggots were attracted to the thinner stands but were hard for growers to detect in time to prevent damage. "Fortunately, these pests are a one-generation insect, so most of their damage is done," Baird said. "Timely fertilizer could help the plants recuperate for decent yields." Miller said the thinner stands and pest damage could result in a reduced yield of 13 to 30 bushels per acre in some areas. The agronomist said growers should continue to watch for rice stink bugs and army worms as the crop starts to head in about 20 days.